Neck/shoulder stiffness is a common thing for today’s people. Most of us are stuck in desk jobs and spend almost the whole day sitting which causes stiffness and pain in these parts of your body. The simplest solution to get a stiff neck and shoulder pain relief is to be aware of the way you walk, sit or sleep. This is because the load to hold your head upright causes a lot of muscle tension. This tension could be a reason for migraines and headaches. Other factors include poor sitting habits, stress, drafts and bad sleeping. There are three main muscles on your shoulder: trapezius, the pectoralis, and the latissimus dorsi. Their purpose is arm movement, while that of the rhomboids on your upper back is to support the shoulder joint. So, as the first two muscles rotate your arm inward, the muscles on your upper back starts to get weak. As a result, your shoulder joint can move far too forward and leave its natural alignment. To avoid this, you should strengthen your rhomboids muscles on the upper back. Here are several exercises to strengthen these muscles in order to put your shoulders back into the right position. Start in a standing position and let your arms hang loosely by your sides. Then, rotate your wrists outward as much as you can. Turn your palms towards your thighs as you release the rotation in the lower arm. However, make sure your upper arm and shoulder stay in the same position as in position two. If your shoulders are often raised, they will deepen the curve in the back of your neck. In such case, you need to do the arm swings, and full arm circle exercises described below and then continue with the following neck exercises. Begin in a stable lunge position (put the right foot in front of the left with knee bent and both feet flat on the floor.) Take a deep breath and swing the left arm up as far as possible. Exhale and swing the arm down and as far back as possible. Do around 8 swings and then gradually increase the speed of the movement to make sure all the crackly noises from your shoulder joint are gone. Next, change the legs and do the same movements with the opposite arm. Start in a stable lunge position once again, and begin making slow backward circles with your right arm. Inhale as your arm goes up and exhale as it goes down. Gradually increase the speed and momentum until you feel a tingling sensation in the fingertips. This indicates that you are making enough fast circles to throw off all the tension in your shoulders. Switch sides and repeat. Your neck moves around the transverse, sagittal, and frontal axes when doing these exercises. But, before doing these movements, make sure you consult a doctor or chiropractor to establish the severity of your pain. The point of yes exercises is to move your head up and down. Try to move your head down until your chin touches the breastbone. If you succeed lowering your head this far, it means your neck is free of tension. Raise your head with the back of the neck extended as much as possible. Repeat these head movements at a slow pace, until no noises are coming from your neck. However, don’t go too far on this move if you have a posterior disc bulge to prevent further damage. First, position your head in the center of your shoulder, central above the spine. Move your head to the right as far back as possible without raising your nose. Repeat on the opposite side, and don’t forget that the whole movement should go at a slow pace. Do these lateral rotations until the crackly noises from your neck are gone. Slowly lower your ear towards your shoulder with your nose faced forward the whole time. Do the same movement on the opposite side. Repeat at least 8 times until you no longer hear any noise coming from your neck. For this exercise, you need to roll your head around clockwise at a slow pace. Do about 5 roles and then repeat counterclockwise. What’s more, you can do these movements under water while having a warm bath as in such environment the head is practically weightless. Besides these movements, here are several tips that will help you get a stiff neck and shoulder pain relief. 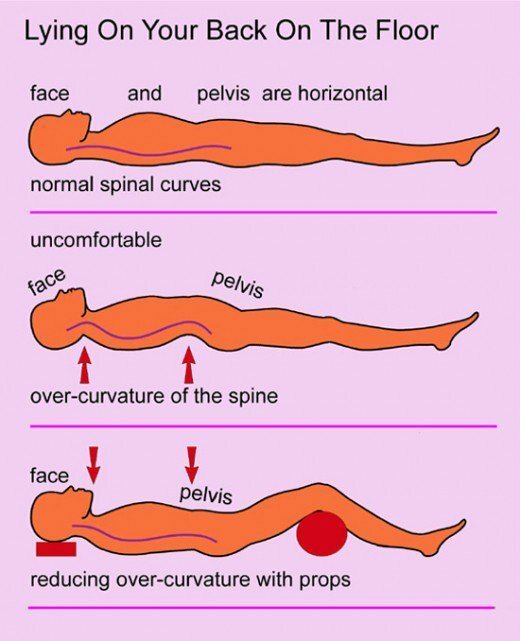 Your sleeping position and condition matters about your neck more than you think. If you sleep in a cold draft your neck muscles can contract during the night. Moreover, don’t sleep on a pillow that moves your neck out of its natural alignment. Instead, choose a firm one that’s no thicker than the area your head needs to lie flat on the ear and not cause curving of the other side of your neck. Poor head movements can be the culprit of your chronic neck pain. However, you must know the difference between the good and damaging movements. So, to prevent and reduce your neck pain do good movements as those above, and avoid the damaging ones. Gravity Inversion Table is the ultimate solution to your chronic neck pain. The gentle anti-gravity fraction will help reduce compression, tightness, and over-curvature in your entire skeleton. These simple exercises and tips will help you get a stiff neck and shoulder pain relief. What’s more, if you practice them regularly, you’ll no longer feel pain in these parts of your body.